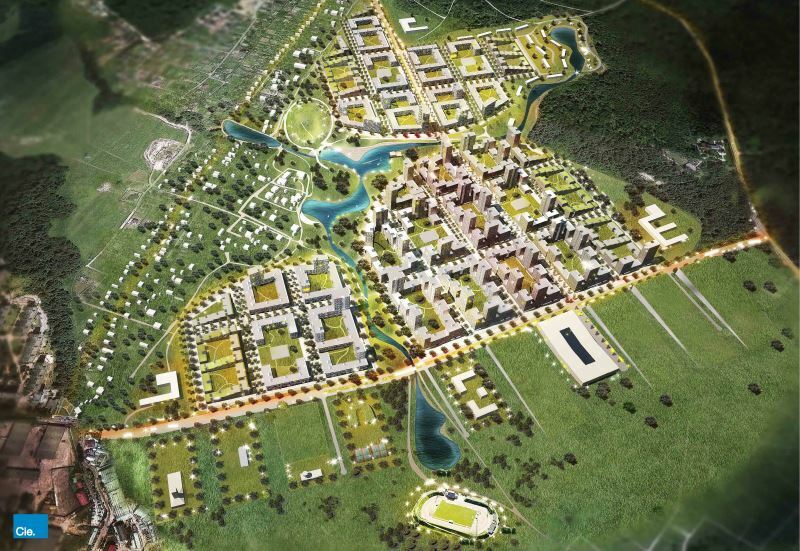 Architekten Cie. have developed a completely new satellite city in a natural area on the outskirts of Moscow: Vlasikha. ABT has been involved in the structural design of part of this project. 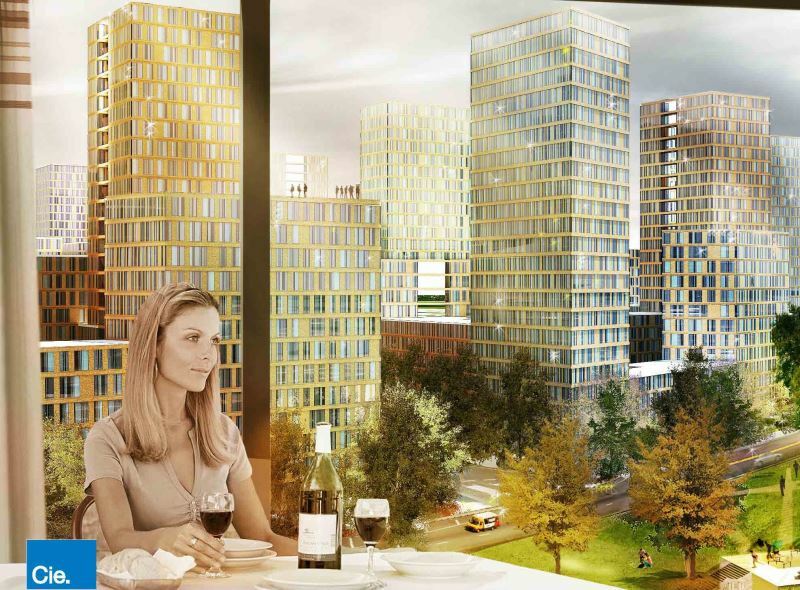 By Dutch standards, the figures are astonishing: 15,000 residential units with 1,000,000 square metres in accommodation. The design offers accommodation to around 45,000 people. ABT is involved in the structural design of part of this project. A Russian project developer took the initiative in developing the Vlasikha satellite city. The project developer opted for a modern city with an attractive lifestyle and where children can grow up in green surroundings. Vlasikha will also contain commercial spaces and facilities. An extensive park landscape lies at the core of the plan. The plan's spatial quality is enhanced by the fact that the park is subdivided into smaller administrative areas. The building styles of three cities have inspired these areas: Manhattan, Paris and London. This is reflected in the façades and construction heights. ABT worked on the prefab concrete structures. The Russian partners have shown an interest in European prefab concrete construction and are aiming for a brief construction phase. For that reason, ABT looked for a high level of repetition in the construction. 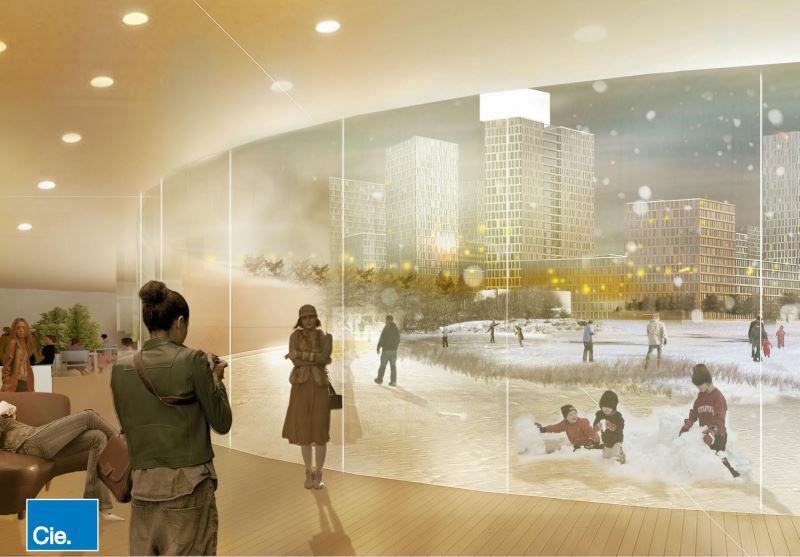 Detailing that can be implemented under Russia's extreme climate conditions was also sought. Practical solutions were found for this, with the result that construction can commence soon.